Signify knew their ultimate goal was to improve marketing planning and effectiveness in order to reach company KPIs and ROI goals. However, as a global and distributed organization, making a change in how they achieved these improvements needed to be a phased and thoughtful process to ensure all key parties were in alignment. To ensure success, they identified a “super user” in each of their 19 markets worldwide who led the change management in their local markets. As there are over 1,000 individuals to engage, with different engagement styles required in different markets, this was a delicate process. The super users are an extension of the global team, and provide feedback, suggestions and questions from local markets to the global team to ensure transparency as the company moves towards a more sophisticated planning, budgeting and measurement process. This new process and enhanced technology stack that includes Allocadia has enabled marketing leaders to identify areas of improvement much quicker than before and drive more efficient alignment. 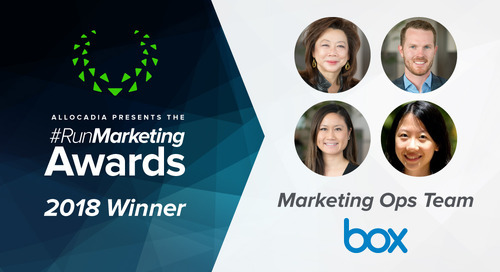 Congratulations to Box's Marketing Ops Team, winners of a 2018 #RunMarketing Award! 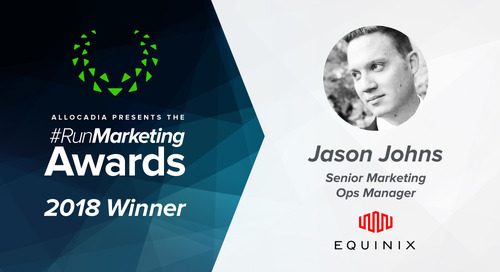 Congratulations to Jason Johns, winner of a 2018 #RunMarketing Award! 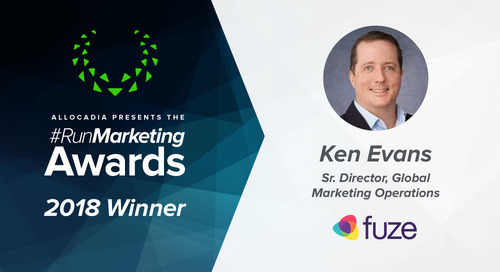 Congratulations to Ken Evans, winner of a 2018 #RunMarketing Award! 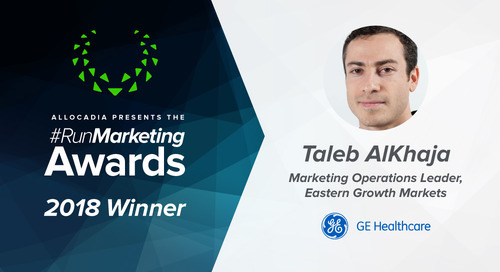 Congratulations to Taleb AlKhaja, winner of a 2018 #RunMarketing Award!